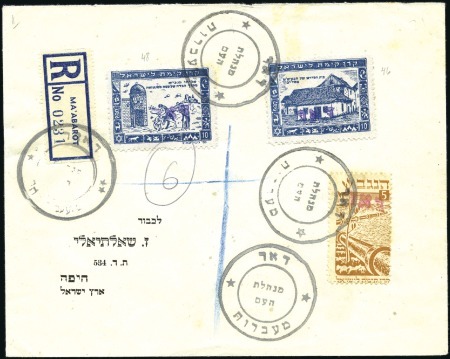 MA’ABAROT Registered cover #0231, properly franked 25m, M.H. stamps, tied by 4 postmarks in black. 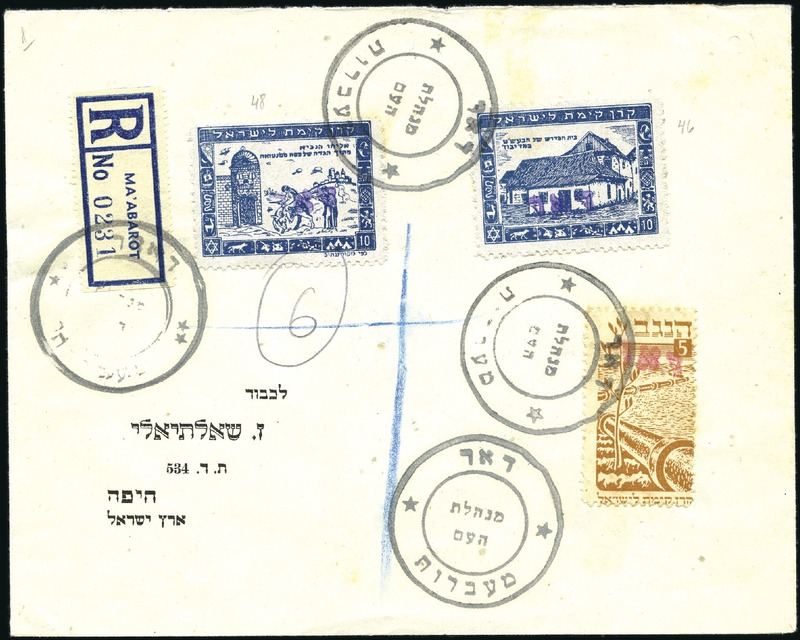 Haifa May 13 arrival Mandate postmark on back. A few light spots, otherwise vf and scare. Approx. 20 registered covers mailed.